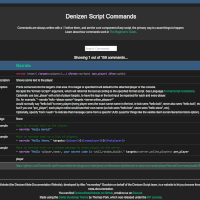 Welcome to Denizen Script's new website! A list of relevant links is available below. Official Denizen Discord guild. Super active and helpful! Full Denizen 1.x documentation and tutorials. Generally stable for long-term use. Cutting edge and sometimes unstable features. 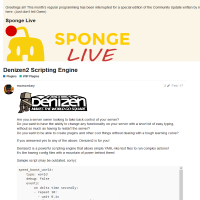 Discuss or review Denizen on Spigot. A guide for new Denizen-Bukkit users. 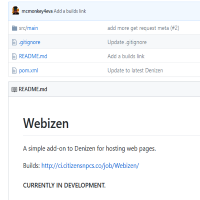 Post any issues using Denizen 1.x here. 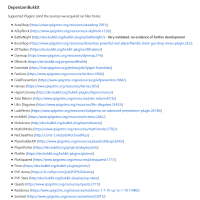 Semi-official addon that helps you integrate a variety of other popular plugins into your Denizen scripts! 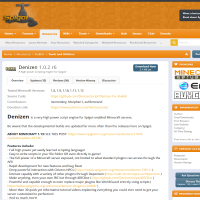 An official addon that lets you host a small web server from your Denizen-enabled Minecraft server! 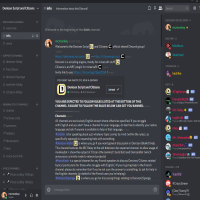 Have a Discord guild for your Minecraft server? 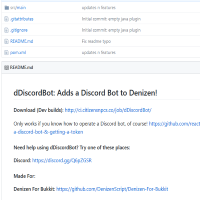 You can control a Discord bot through Denizen scripts! Still use IRC? You can control an IRC bot through Denizen scripts too! Full Denizen 2.x documentation and tutorials. Discuss the plugin with other Sponge users. 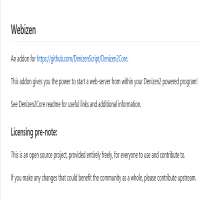 Post any issues using Denizen 2.x here. 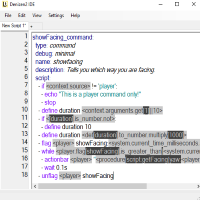 An official and carefully crafted editor to maximize your scripting speed! 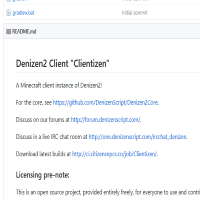 Clientizen is an official secondary implementation of Denizen2 that runs on the Minecraft client! 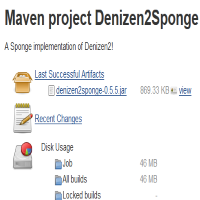 It can interact with both Sponge and Spigot servers (using Depenizen). Website built by Morphan1 and mcmonkey. Made using the Litera Bootstrap Theme by Thomas Park, which was released under the MIT License. Copyright (C) 2018 The Denizen Script Team, All Rights Reserved.